The 2016 Kia Picanto will be in showrooms from this weekend. BIG things are expected of the freshly-launched 2017 Kia Picanto. 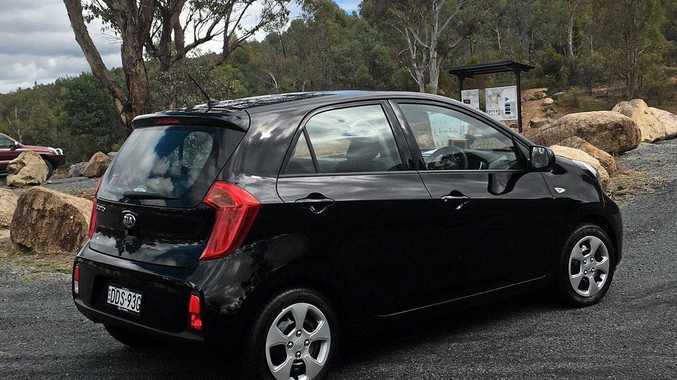 The five-door hatch is Kia's first entrant among Australia's micro machines, going into battle with the Mitsubishi Mirage and Suzuki Celerio armed with a four-speed automatic transmission and an aggressive $14,990 drive-away price-tag. 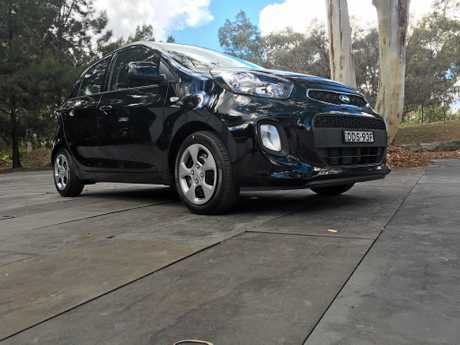 Expected to be in showrooms throughout Australia from this weekend, the Kia Picanto is well-equipped and powered by a 1.25-litre four-cylinder petrol engine. Only available in one trim, features include a four-speaker CD stereo with full Bluetooth phone an audio connectivity, rear parking sensors, power windows and air conditioning. ANCAP has awarded the hatch a five-star safety rating courtesy of six airbags, stability and traction control, anti-lock brakes and emergency brake assist. Like all other Kias, it will also be backed by an unmatched seven-year warranty, capped price servicing and roadside assist. Servicing prices have not been finalised, but expect it to be less than $400 annually (the 1.4-litre Rio average cost over five-years $393 with maintenance due annually or every 15,000km). 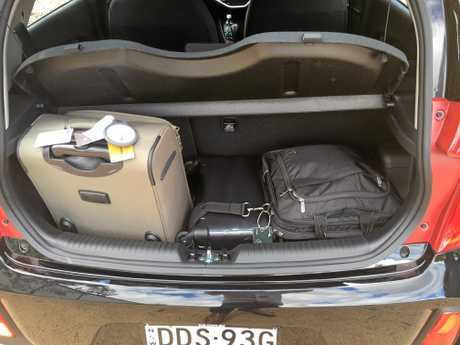 The 200-litre Kia Picanto boot. Kia Motors Australia is so confident it has the right product at the right price, chief operating officer Damien Meredith believes the company will sell 300 units a month - which is nearly half of the total volume from that segment based on last month's VFACTS figures. "It's price driven. We believe bringing this car in because of its quality and because of what it offers in that micro segment it is going to hit the sweet spot with the Australian customer," he said. "We are very confident with that 300 a month." The Kia Picanto will be in showrooms from May. 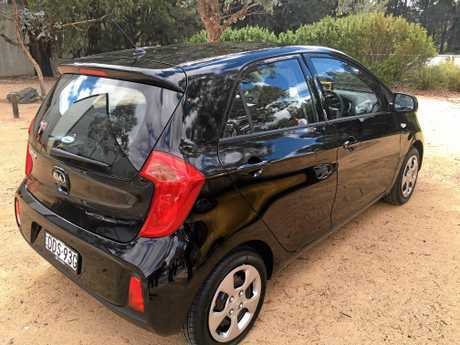 The Picanto has been available overseas for early five years and the Australian operation fought hard to bring the vehicle Down Under. 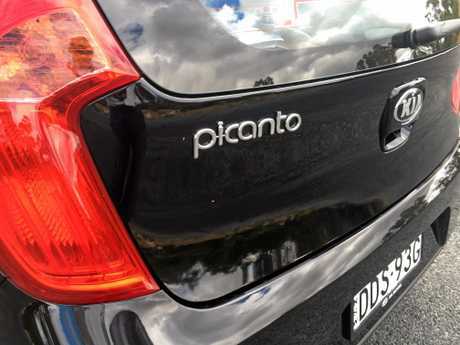 While an updated variant is expected to arrive here in about 12 months, Mr Meredith said Kia Australia took its change establish the nameplate. Young drivers are the primary target. About 70% of the private sales (forecast to be be 80% of the 300 units) are expected to come from the youthful audience, with Mr Meredith expecting to draw buyers from the used car market. It will be the only vehicle in Kia's local line-up not to feature Australian tuning, but the European-spec was tested here before the Picanto was accepted for sale. While sourced from Korea, the Picanto is built under a joint-venture arrangement with Donghee Auto Company in Seosan, a few kilometres from Kia's Hwasung plant. Donghee was originally a parts supplier to Kia but now produces 230,000 vehicles a year. Details: Five-door five-seat front-wheel drive compact hatch. Engine: 1.25-litre inline four-cylinder petrol generating maximum power of 63kW @ 6000rpm and peak torque of 120Nm @ 4000rpm.